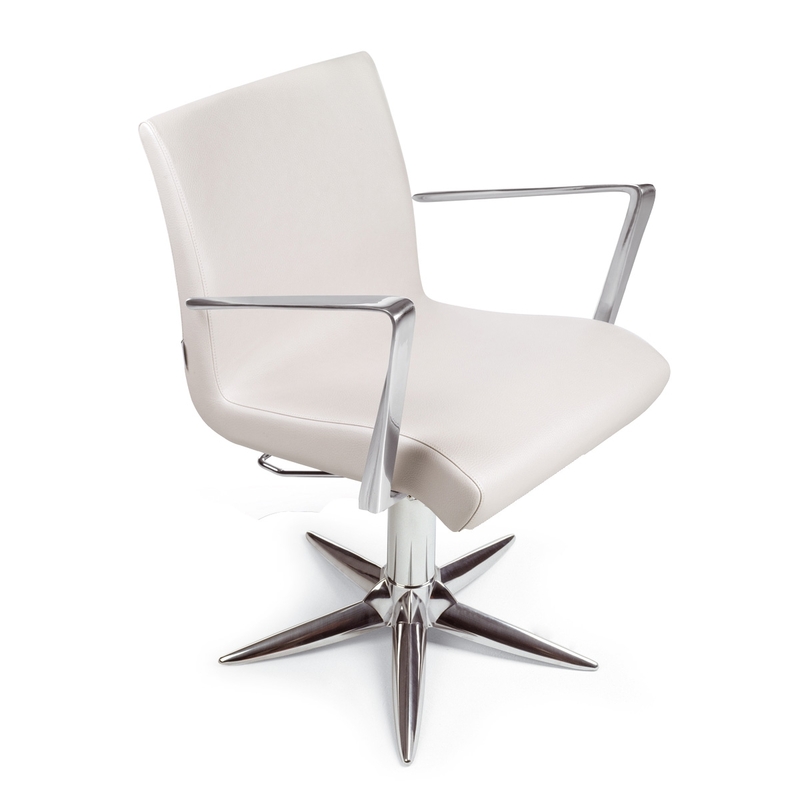 Swivel chair with PARROT base in polished aluminium base with pump and block. Wooden structure padded with polyurethane resin upholstered with vinyl. Armrest in polished aluminium.